Marc Evans Father's Day Sale 25% off. I am validating that this deal works as described. 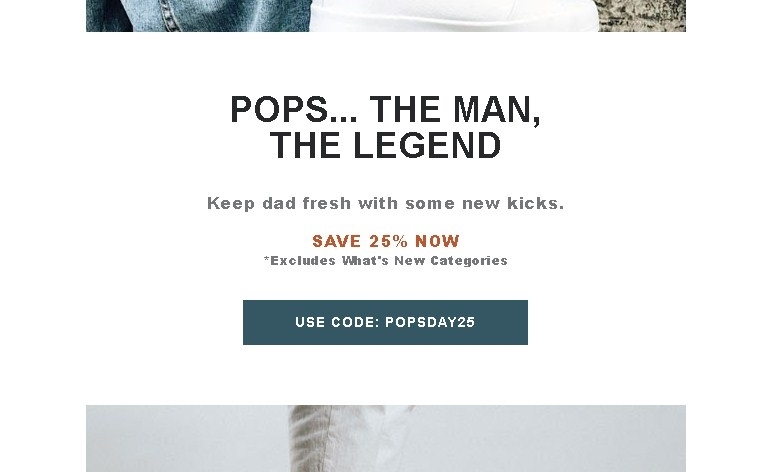 Enter promo code POPSDAY25 at checkout.